Post any Design Notes here. Hello there! Just a quick heads up: the AQW Drawing Contest concludes tonight at 11:59pm EST, and no more entries will be taken after that time. As of right now, 1,461 masterpieces have been submitted on this single thread (the Forum Mods are ganna pwn me lol), so if you want to be a part of this contest (and have a chance at winning the grand prize of 5,000 ACs) make sure to post your drawing today! Chaos Lords and 8 Tracks. 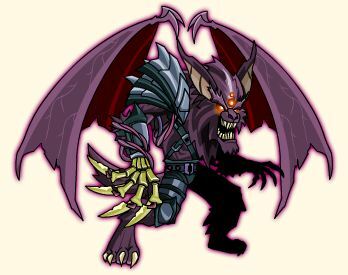 This week, Members get to battle Drakovia's own Chaos Lord, Wolfwing! As usual he will be dropping his own armor, and as usual we have planned an interesting fight for you. I don't want to ruin the surprise for you, but You'll want a healer with you. Minimal and I talked about him for a bit and he's got not one but two unique aspects to his battle. it might take you a few attempts before you can take him down. It might take you more than that. Do you even know what an 8 Track Tape is? This Sunday is "8 Track Day". If you don't know, and 8 Track Tape was the musical medium that came after records and before casette tapes. Thanks to 8 Tracks people were finally able to listen to their own music in their cars. 8 Track Tapes didn't last long in the world. They were too clunky, and didn't hold enough information to really be practical. Much like the rest of the 70s, it was just a bad idea. 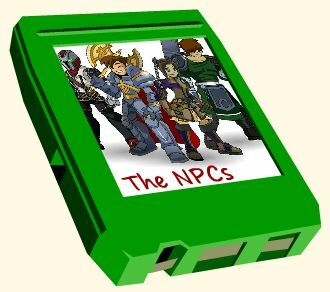 The NPCs Live In Concert Original 1976 Eight Track Recording! To celebrate 8 Track Day, Disco Stoo'pid the disco dancing horc will be coming to Battleon (from the past?) this weekend and will give players a chance to win his "8 Track Flashback" armor plus a number of 70's themed house items, like your own disco ball, shag carpet or lava lamp! PTR is coming NEXT TUESDAY! PTR is finally, actually, really, honestly, almost ready. Next Tuesday we are moving the PTR Game Engine that most of the coding team has been working on for what feel like a decade... will be released on ALL the live servers. This means, Stats and the new Enhancement System (Most of your stats come from which Enhancement you pick for your gear), We will fianlly be able to make new CLASSES again, Member Enhancements are able to have special powers (like a 5% change to add an fire DoT to an enemy), We will be raising the level cap to 30 AND very soon (within a week or so of releaseing the PTR engine) Player versus Player battles will go live! We need your help testing, and we appreciate all the help you've given us so far so starting sometime tomorrow, anyone who logs on and helps us in this very, very crucial last round of testing... will instantly recieve a PTR Tester achievement in their Book of Lore as well as on their Character page!